MANILA, Philippines – It was last June 15, Friday, when fears of the ‘tanim bala’ modus operandi once again circulated among netizens after a government employee shared her experience while traveling from the Ninoy Aquino International Airport (NAIA) to Zamboanga with her daughter and elderly mother. But after conducting an investigation on the incident, the Manila International Airport Authority (MIAA) and the Department of Transportation (DOTr) firmly denied that there was any ‘tanim bala’ incident. While a live bullet was found in her luggage, the DOTr and MIAA claimed that the bullet was found inside the bag of passenger Kristine Bumanglag-Moran while it was still wrapped in plastic. 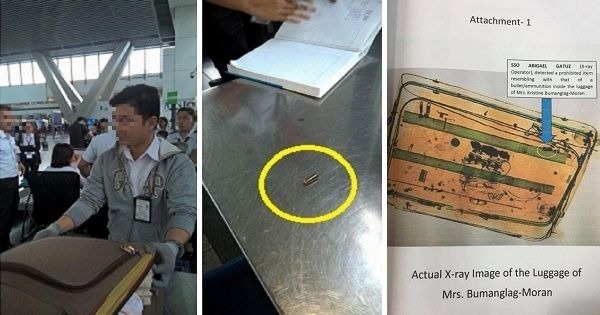 This means that because the bag was supposedly still wrapped in plastic when the live bullet was supposedly discovered through the x-ray machine, there was no way the airport security staff had placed it in the passenger’s bag. In the statement released by the DOTr and MIAA, it was explained that the luggage was subjected to baggage search because the x-ray operator detected what appears to be ammunition inside the bag. “The operator sought the assistance of a baggage inspector and a police personnel to validate the image. A picture was taken of the said image for preservation. 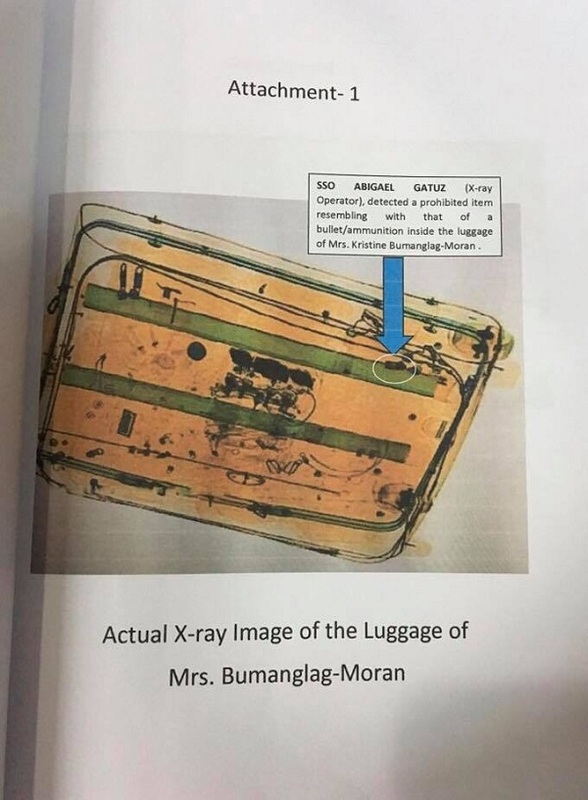 According to new protocols for handling bullets and similar items found inside the passengers’ luggage, the item will be confiscated and the bag owners asked to sign a logbook; however, Bumanglag-Moran refused to give her ID. Instead, she gave her mom’s senior citizen ID. “Unfortunately, even after these assurances, (Ms. Bumanglag-Moran) created a scene and uttered foul allegations to the airport personnel, which she also posted on Facebook,” the statement added. The DOTr and MIAA stand behind the security and screening personnel whom they said were just following ‘standard operating procedures’. They also added that similar incidents have happened in the past, but these passengers were allowed to fly after confiscation of the bullets and proper documentation of the incident. “Note that since the Duterte administration took over, not a single passenger has missed a flight due to a piece of ammunition. Not a single passenger was asked to pay any amount to anyone, which is what the ‘tanim bala’ scheme is all about,” the statement emphasized.